Music Theatre for Young People is happy to be bringing you five incredible musical theatre camp sessions this summer. We have two sessions of Lemonade!, a musical for young performers ages 5-8, two sessions of Mighty Minds! for young performers ages 9-12 and an advanced camp, Lion King Jr. ages 11-14. Click here for our Camp F.A.Q. Join in the fairytale frenzy when Chicken Little, the Three Little Pigs, Humpty Dumpty, the Cat with a fiddle, Little Bo Peep, Little Boy Blue and a host of other characters are having a BAD DAY! But with the help of a cheerful Mother Goose, discover how they learn to make the best out of life’s ups and downs. The students are in a panic! It’s time for testing! The teacher needs help fast, and there’s only one thing to do. Hello, Mighty Minds? Come quick! 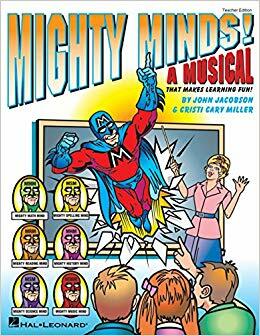 In a whirlwind of action, the cape-clad Mighty Minds race to the rescue with clever dialog and songs that help the students get fired up about learning. Discover how reading can be F! U! N! ; how a little Conga Math can solve problems; how knowledge is power! Session One camps will be held at Grace Presbyterian (5002 E Douglas). Join in the fairy tale frenzy when Chicken Little, the Three Little Pigs, Humpty Dumpty, the Cat with a fiddle, Little Bo Peep, Little Boy Blue and a host of other characters are having a BAD DAY! But with the help of a cheerful Mother Goose, discover how they learn to make the best out of life’s ups and downs. Session Two camps will be held at Grace Presbyterian (5002 E Douglas). Disney’s The Lion King has captivated the imagination of audiences around the world and now, for the first time ever, you have the opportunity to produce this one-of-a-kind musical in your school. 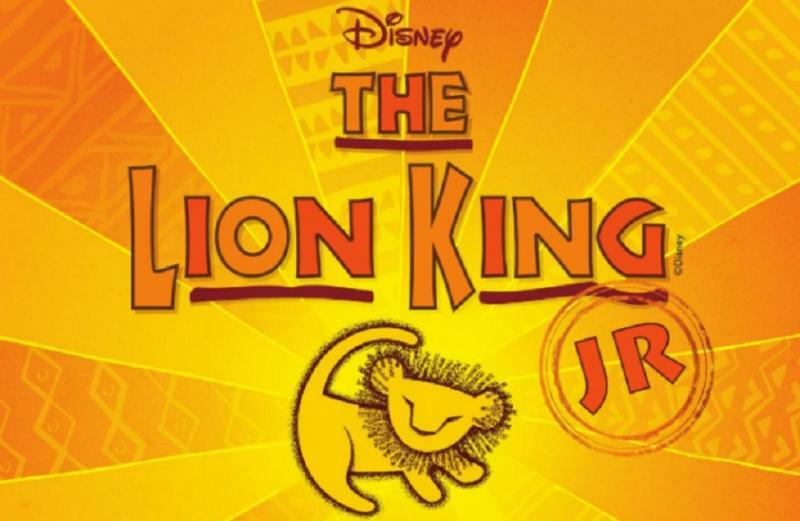 The African savannah comes to life on your stage with Simba, Rafiki and an unforgettable cast of characters as they journey from Pride Rock to the jungle… and back again, in this inspiring, coming-of-age tale. Advanced Camp will be held at Newman University – 3100 McCormick .